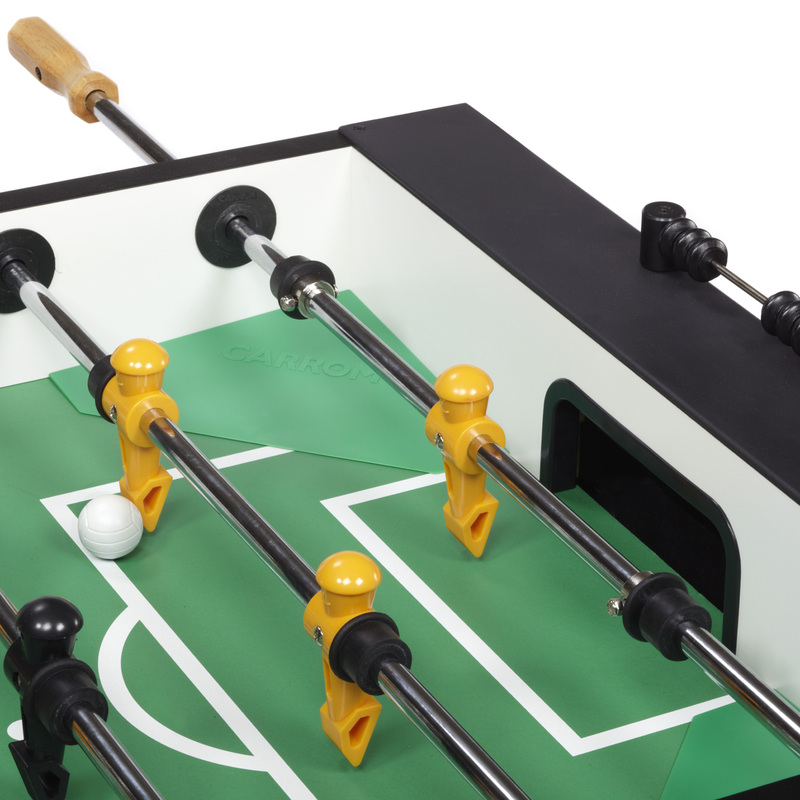 Foosball, Table Soccer, Table Football, Babyfoot, Fuzboll, Footzy – whatever you choose to call it, the beginning of foosball is a little shaky in the history books, but that doesn’t defer from its popularity to play the game. The inventor of the game is unclear. Some have credited a British man, Harold Searles Thornton with the game’s creation, since he was the first to receive a patent for the game in 1923. There are others claims that during the 1880s – 1890s, the game of foosball began showing up across Europe as a parlor game. Another claim is that in the 1930s a French inventor, Lucien Rosengart, came up with the game when he was looking for things to keep his grandchildren entertained. While Spain also wants credit for the game, claiming that Alexandre de Finesterre invented it while hospitalized with injuries from the Spanish Civil War. 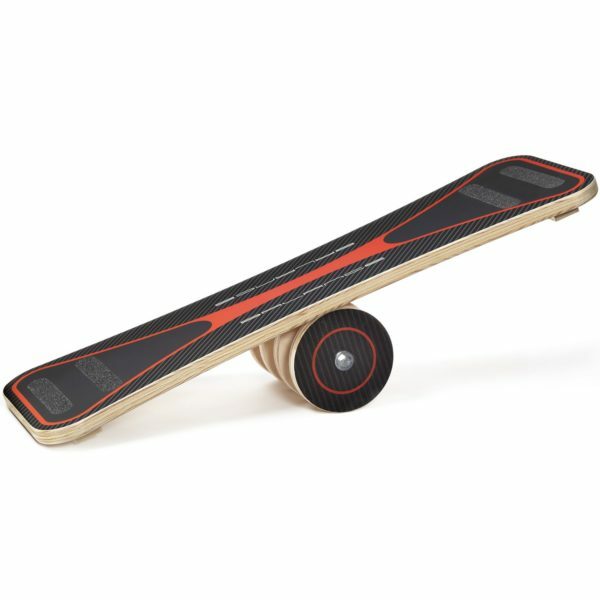 He supposedly patented it in 1937, but the paperwork was lost. We don’t know which was truly first, but we do know we are happy the game was created! There are six main variations of foosball around the world; American, Czech Republic, French, German, Italian and Spanish. This is usually the difference in one-man or three-man goalie set-up, the surface used to play on, or the weight of the players. 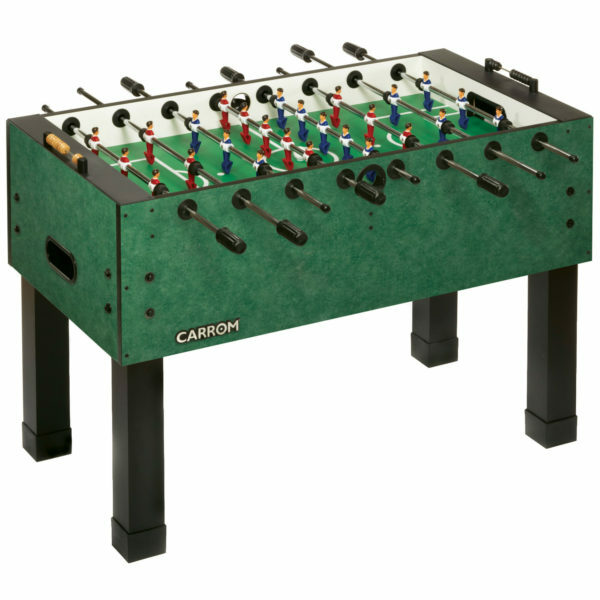 Carrom Foosball Tables give you the option of a one-man or three-man goalie when you’re setting up your game. The first American-made foosball table was created by Hayes and Furr in 1970, when the height of its popularity was booming. In 1978 the World Championship awarding the highest tournament prize of $1 Million dollars was played. Expert players have the ability to make those mini soccer balls fly up to 35 mph. The longest table foosball table is 121.40 m (398 ft 3.52 in) and was achieved by Marco Berry Onlus (Italy), in Turin, Italy, on September 25, 2015 — 424 players are able to play simultaneously, the record attempt raised money to be donated to the MAS CTH which is a children’s hospital in Hargeisa, Somalia. The longest marathon playing table foosball (doubles) is 61 hours and 17 minutes, achieved by Alexander Kuen, Manuel Larcher, Bernd Neururer and Dietmar Neururer (all Austria), in Innsbruck, Austria, on August 29, 2012 to September 1, 2012. Frenchman Lucien Rosengart, referred to the original game as “babyfoot” in his claim as the original inventor. 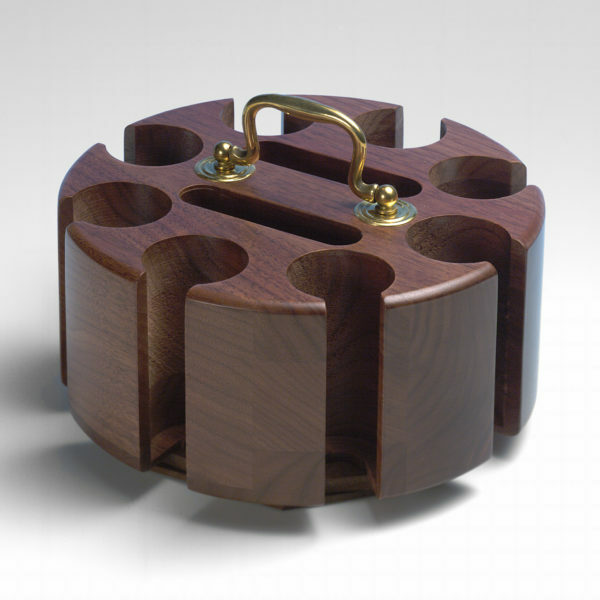 With the continuing love of foosball, we wanted to make Carrom’s Signature Foosball Tables even better. Our upgraded model arrives mostly pre-assembled. 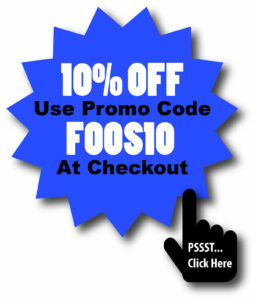 We took care of the hard part so you can spend more time playing and less time building! All of the premium features make this a favored game for any family rec room. Did we mention it has drink holders and conveniently placed ball entry cups and high-impact ball returns?! 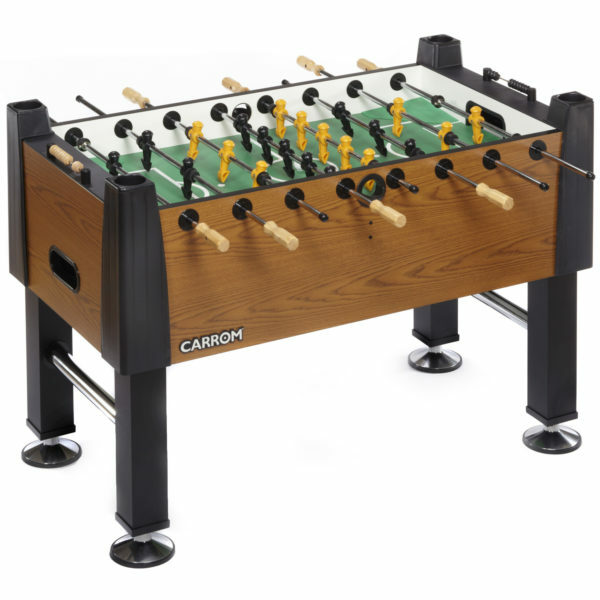 Get your table partially assembled, currently limited to select models of Carrom Signature Foosball/Table Soccer in Wild Cherry, Burr Oak, Moroccan, Realtree Xtra, and Realtree Xtra Snow. Tell us how you’re spending your family game time; share a picture of the games you’re playing! 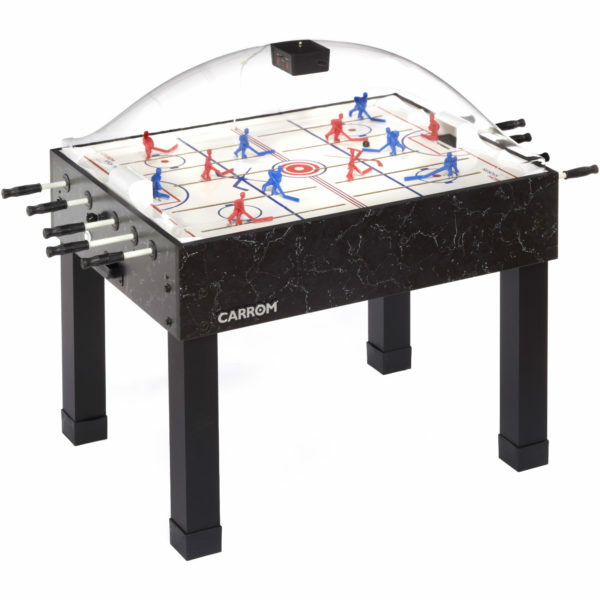 Make sure to tag us; @TheCarromCompany and use some hashtags like; #unplugwithcarrom, #familygamenight, #gamesbycarrom, #carrombalanceboard #foosball, #tablesoccer.